BenQ Canada Corp. has introduced its new line of EW40 series monitors. Loaded with market-changing features aimed at turning mobile content into a full-on experience, the new vertical alignment (VA) displays feature mobile high-definition link (MHL) technology, an all-new Cinema Mode, and razor-sharp 3000:1 contrast ratios to allow for gaming, media streaming, and other external entertainment sources to be easily viewed on the 24-inch (EW2440L) and 27-inch (EW2740L) screens. Equipped with BenQ’s groundbreaking ZeroFlicker™ technology, the displays also eliminate traditional LED flicker issues, enabling seamless viewing sessions and increased user comfort. Sleekly designed to complement today’s trendiest home and office environments, the BenQ EW40 series monitors enable easy notebook PC, cable, console gaming, or smart device connection using simple MHL technology. As a result, users can transfer small-screen content directly to the monitor from any portable device. 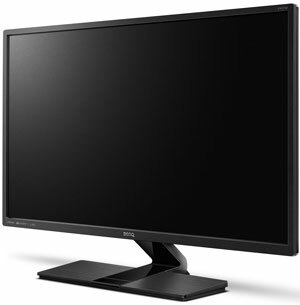 Featuring slim bezel lines, true-black color, and a cinema-class video processor for stunning image quality, the EW2440L and EW2740L monitors are engineered to provide today’s cloud-based content consumers with a new level of elegance, simplicity, and forward-thinking features that take picture quality to a new level of enjoyment. In “Cinema Mode,” the EW40 series monitors heighten the movie experience via BenQ’s exclusive color engine technology, which dynamically adapts to specific video content and automatically brightens dark scenes without overexposing color levels, thus preserving vital picture details. With BenQ’s “Super Resolution,” the displays also simulate high-resolution images in lower-quality video by increasing pixel density — creating an amazing viewing experience regardless of source video settings. To further enhance online videos, the devices’ “Smart Focus” feature highlights selected video windows or screen areas to reduce distractions from other locations on the display. To enable a more comfortable viewing experience, the EW40 series comes equipped with BenQ’s groundbreaking ZeroFlicker Technology. Flicker — or flashing effect — occurs when a monitor’s LED backlight controller automatically adjusts to changes in brightness levels. Since backlight controllers in regular monitors can cause rapid flickering at a rate of 200 Hz per second when brightness is reduced from its maximum level, user comfort can be compromised in applications where longer viewing sessions are required. Designed to counter this effect, BenQ’s new ZeroFlicker technology has been engineered to eliminate traditional LED flicker issues using a new direct lighting system that enables users to experience improved LED comfort. Using the monitors’ hot keys, users can also easily lower the device’s blue light output to further boost viewer comfort. For purely audio situations, the EW2440L and EW2740L feature a “Speaker Only” mode, which allows users to connect their devices directly to the monitors’ speakers without powering on the screen. As a result, users experience complete audio immersion while consuming less power. In line with the series’ elegant design features, the monitors sport touch on-screen display and hotkey capabilities, enabling users to switch between settings easily and fully customize their devices. Just in time for the holidays, the EW2440L and EW2740L are shipping now at retail price of $299 and $499 USD, respectively. This entry was posted on Monday, December 16th, 2013 at 5:50 pm and is filed under National News, New Releases, Peripherals. You can follow any responses to this entry through the RSS 2.0 feed. You can leave a response, or trackback from your own site.